Touring the Palace at Versailles is simply a must for any visitor to Paris. 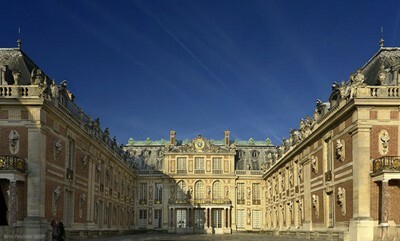 Initially built as the summer residence for French royalty, Versailles' legendary grandeur and opulence is unsurpassed. It has since been home to everyone from Marie Antoinette and King Louis XIV to France's Dauphin and Dauphine. Your Versailles tour is an exploration into the lives of the French royal family and will give you an extraordinary view into the lives of the monarchy before they were overthrown during the French Revolution in 1789. During your tour, you'll get to study your reflection in the same celebrated Hall of Mirrors that Louis XVI did, while also visiting the room where the treaty that ended World War I was signed. Your guided tour of Versailles' palace is followed by a walk through the lush gardens on the grounds that Versailles is famous for. Breathtaking and ethereal, the legendary gardens of Versailles actually served as the inspiration for many of Claude Monet's greatest paintings. Your Aeon Tour of Versailles was designed to give each of our guests a firsthand, truly Parisian experience. Your Private Versailles Tour is flexible, and allows you to choose your own meeting point to start your tour (usually at your hotel or apartment) at whatever time you choose. Your guide will meet you at the time of your choosing. Your Versailles Tour begins with a quick, 20 minute RER train ride that leaves you right near the grounds of the Palace. Once there your guide will lead you on your 4 hour tour. After your tour, you're able to continue exploring the Palace on your own, or head back to Paris with your guide. We recommend staying on in Versailles to have dinner at one of the local restaurants. 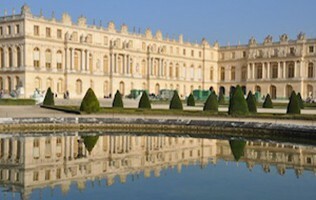 Entry fees are not included with our Versailles Tours. Entry fees are â‚¬18 per adult, for the Passport entry ticket. You may purchase your entry ticket online before your tour if you choose, but there is no need to do so. Your guide can also purchase your ticket(s) with you the day of your tour. What will I see on my Versailles Tour? The Versailles gardens, Petit Trianon, the Grande Trianon, the Palace and so much more! Your entry ticket also includes a show at the fountain show if youâ€™d like to see that as well. How will we get to Versailles? Usually you and your guide will travel to Versailles via the efficient RER train ride. The quick ride takes about 30 minutes. How much are the train tickets to Versailles? A round trip ticket on the RER train to Versailles costs â‚¬7. Your guide for your Private Versailles Tour will meet you at your predetermined spot â€“ usually right in your hotel lobby or outside your apartment. But of course, your meeting point is up to you! Your small-group Versailles guide will meet you at our easy-to-find meeting spot near St. Michel at 9:00 AM. Your exact meeting point details â€“ complete with a photo and map of your meeting point - are emailed to you once your booking is complete. We did an Aeon tour of Versailles on April 9. It was a beautiful spring day in Paris. The lines at Versailles were already long and our group arrived at 9:30. Our guide was wonderful. He led us expertly through the maze of people, and got us into Versailles quickly. His knowledge was outstanding- of the history, and all the events that took place at Versailles. I think he works at Versailles, or used to? Our tour was supposed to be 4 hours but we took closer to 6 - plan accordingly! (Think if you skip the gardens you can finish in 4) We didn't mind though the extra time though, because we were so enthralled with the gardens. My sister and I went on a tour of Versailles with Tomas. He met us right in the center of Paris, and amazingly, we were the only two people on the tour that day. The tour started by as soon as we entered the train. There is a special train car to Versailles, that has been amazing designed to look like the inside of Versailles. Unreal. Had never even heard of this before Tom brought us on there. He said they always tried to bring guests on that specific train, as it really sets the tour in motion. But enough about trains! We arrived at Versailles and quickly grabbed our tickets from a shop just near the Versailles entrance. Whew - that saved a lot of time. Saw a queue already miles long that morning! The tour itself was fabulous. My sister and I are quite well traveled but usually stay away from tours. We are so glad we did, and even better, that we had Tom as our guide. The tour itself took longer than advertised, almost 6 hours. But we didn't mind at all, and actually loved the extended time we had exploring the gardens afterwards. We had a great tour of Versailles with Marc. Request him if you get the chance! A long tour (6 hours) that could have felt even longer with a lesser guide. We had a Catacombs tour and a Versailles tour with Aeon. Both of our guides were...fantastic! Victoire led our tour of Versailles and it was truly an all day tour. I think we were quoted a 6 hour tour but Victoire stayed with us and showed us the local village surrounding Versailles and we dined at an amazing local, al fresco spot. We toured Versailles with Raphaelle in early January. We had thought about visiting Paris over the holidays for quite some time and finally did it this year. After a ton of research we found Aeon Tours. They were flexible with their schedule, and were pretty economical so we booked with them. Our guide, Raphaelle, was fantastic. She led us through the entire palace and most of the grounds. It turns out she used to work at Versailles so he had a lot of information that we hadn't heard before. 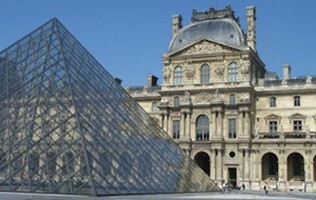 We took 3 tours with Aeon - one of the Catacombs, the Louvre, and Versailles. All of the tours we took were fun, well organized, and very educational. Our tour guides were Miguel, Leo, and Victoire. Each of our groups were small (less than 10 people) so it was easy to get all of our questions answered. We loved the Catacombs the most! I hesitated to book these tours based on some of the earlier reviews, but am glad I did - each of the meeting points were easy to find, and our guides were there waiting each time. Was a bit nervous about booking our Versailles tour online, but am happy to say I had nothing to worry about. Our guide (Emma) was brilliant. She was very friendly and extremely knowledgeable (she used to work at the actual Palace of Versailles!). She told us all kinds of things we would have never discovered on our own. There were 6 of us so it was a very personal tour, with plenty of time to interact with Emam and ask questions. Would definitely suggest you take Aeon's tour of Versailles! Fabulous, engaging Versailles family tour through Aeon! We booked a tour of Versailles through Aeon Tours - Frederic was our wonderful guide. We specifically asked for someone who could appeal to a teenager and he did not disappoint! He kept our daughter interested and engaged and she enjoyed the two hour tour. He met us at our apartment and helped us navigate the metro and RER. He answered all of our questions graciously and did not make us feel rushed. I would highly recommend Aeon tours. We booked tours in Paris and Versailles and was delighted with both tours and guides. Definitely worth the cost, especially bypassing lines and crowds! Each guide was extremely well-versed in the locations, and clearly experts on their individual tours. (Of course, they were also fluent in English). We booked the Paris Essentials tour for our first day, which turned out to be in the middle of heat wave (!). What could have been a terrible touring experience in the heat turned into a fantastic Parisian introduction lead by our guide, Fred. The tour I enjoyed the most, however, was our tour of Versailles. Something about the history of Versailles, and the beautiful grounds made it the high point of our entire trip. FANTASTIC! Francoise was a wonderful guide and everything worked out like clockwork! without her official guide status we would have not jumped the 2 hour queues (3 queues, one to BUY tickets, one to ENTER Versailles building, and one to buy and enter the GARDENS). We would have never been able to see 1/2 as much in the 1 day available. Totally knowledgable ( we got to understand what we saw), great person, very friendly and made sure we could navigate when we parted. Would TOTALLY recommend. After much research, I decided to book a tour of Versailles with Aeon due largely to their responsive customer service. As my husband and I were traveling with two teenage children, I had many reservations about booking a day tour to Versailles. However, I am happy to say I was very pleased with our touring experience and thrilled with the way our guide catered to our entire family. Our guide, Marie, was brilliant. She was able to keep the kids entertained while making sure my husband and I were also engaged. Afterwards, Marie gave us some great ideas for restaurants and parks, which we loved.